Arca had a big 2015, and his 2016 is shaping up to be equally busy. The London-via-Venezuela producer is hard at work on Reverie, the followup to last year’s Mutant, in addition to Björk’s new album, and he’s just shared a new track called “Sin Rumbo.” The spectral lurch features his own vocals and lyrics, and it’s accompanied by a new video from frequent collaborator Jesse Kanda, an unbroken, unnerving closeup of Arca’s bruised face. 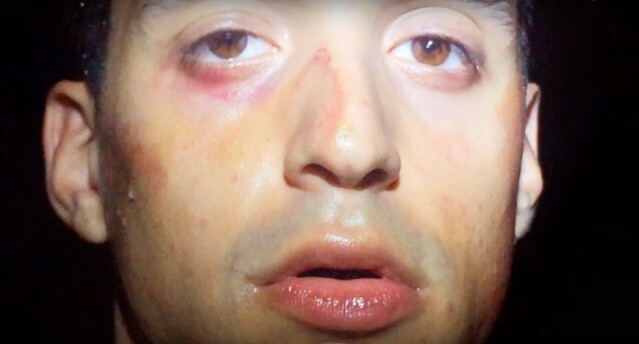 In a tweet, Arca promises a “new release 4free” tomorrow and says that “the album will come out this year.” Hear “Sin Rumbo” below.